Wrestler, Actor, Producer, Case Study Protagonist? He is arguably the biggest movie star in the world, People Magazine’s newly crowned Sexiest Man Alive – and now a Harvard Business School case protagonist. 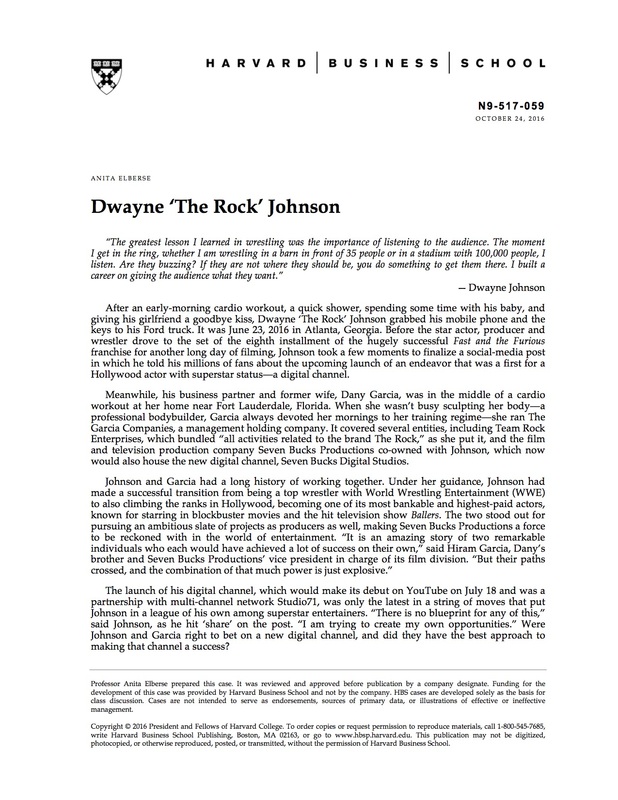 Professor Anita Elberse’s newest case, released today, trains a lens on Dwayne ‘The Rock’ Johnson’s success in front of the camera, as well as his rapidly growing media empire. Fast forward to today. The Rock has become a household name as both a wrestling legend and a global movie star. Perhaps less well known is that Johnson and his business partner, Dany Garcia, have quickly gained ground in Hollywood as producers, too. 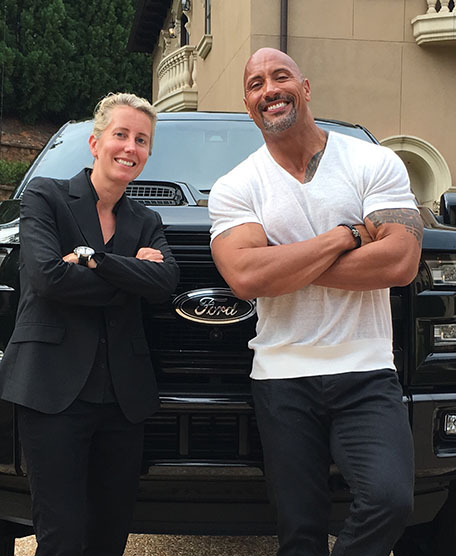 Their production company – aptly named Seven Bucks Productions – is behind many of Johnson’s most high-profile projects, including this year’s Central Intelligence, next year’s Baywatch, and HBO’s most popular half-hour series in years, Ballers. Now the duo has set its sights set on conquering the online world, launching a digital channel named Seven Bucks Digital Studios this past summer. Talk about never settling.